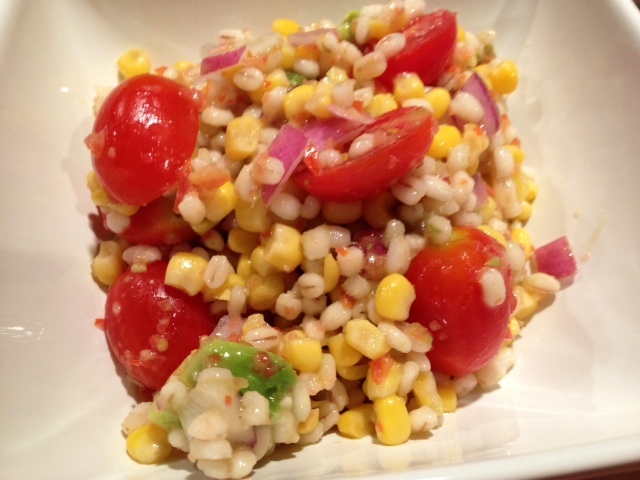 I couldn’t quite figure out what title to put on this post, because “tomato grilled chicken” just sounds weird, and “barley corn salad” doesn’t exactly scream “party in your mouth”. But trust me, this dish is not at ALL weird, and is TOTALLY a party in your mouth. 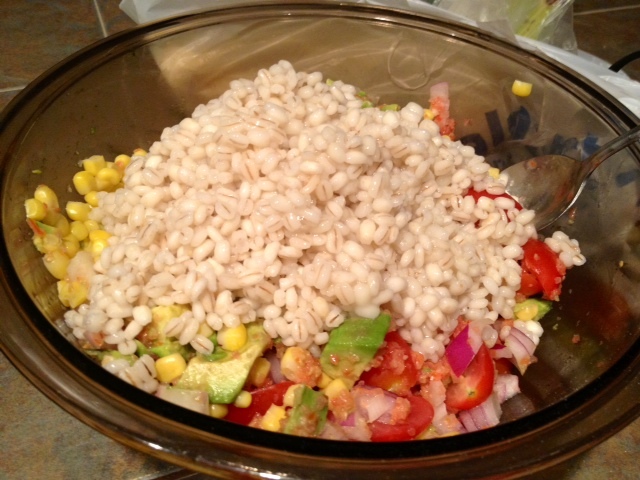 This was my first time cooking barley, and I was a little nervous. It turned out well, though I didn’t quite follow the instructions and forgot to drain the barley (I just kept cooking it til the water evaporated). The chicken was interesting but didn’t try to overwhelm everything else, and was super moist. I was worried that it would dry out because I had to cook mine longer (accidentally bought the super fat chicken breasts), but it kept the juice in very well. And wow, barley was a revelation! 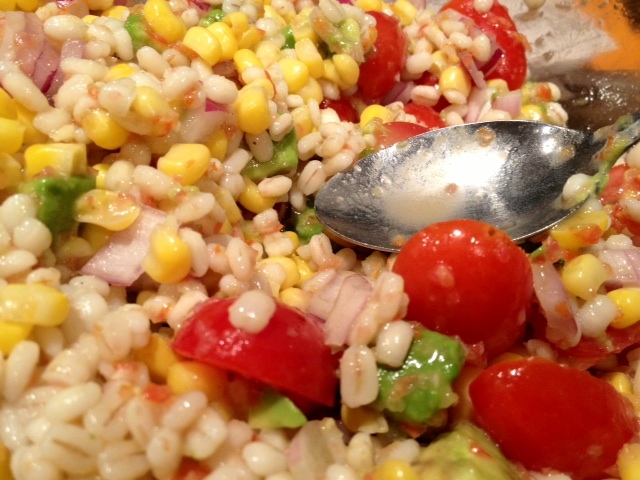 It just had this amazing texture—chewy and nutty, which paired perfectly with the crunchiness of the onions and corn, the juiciness of the tomatoes, and the creamy avocado. First, cook the barley according to the package directions and drain when it’s tender (make sure all the extra water is removed). Put in a big bowl so it can cool—I threw mine in the fridge. While the barley’s cooking, combine all the vinaigrette ingredients in a food processor or blender, then process until smooth. 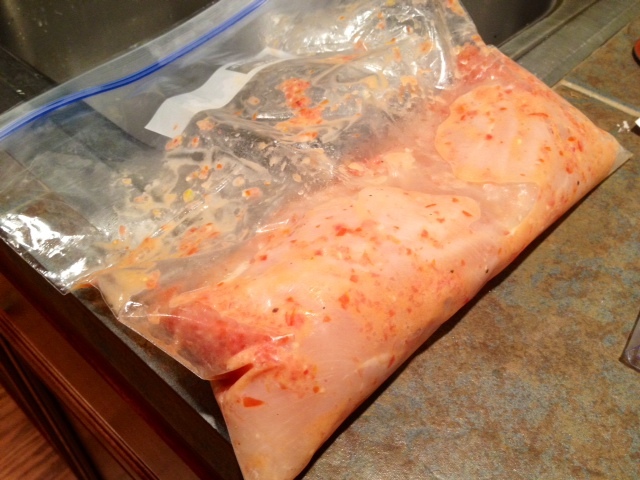 Season the chicken with some salt and pepper, then put it in a plastic bag with 6 tablespoons of the vinaigrette. 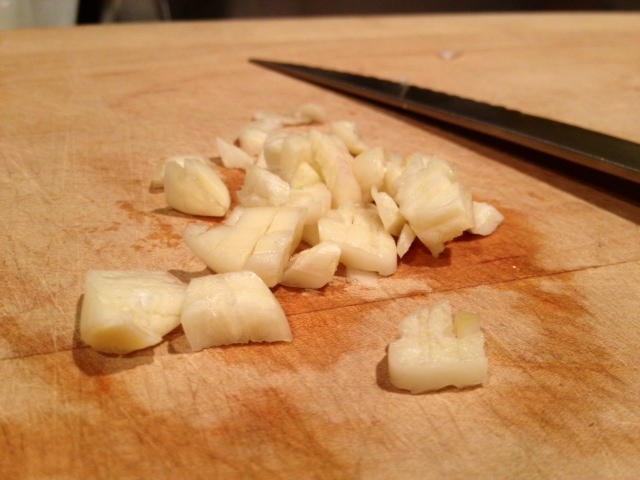 Marinate in the fridge for an hour or more. 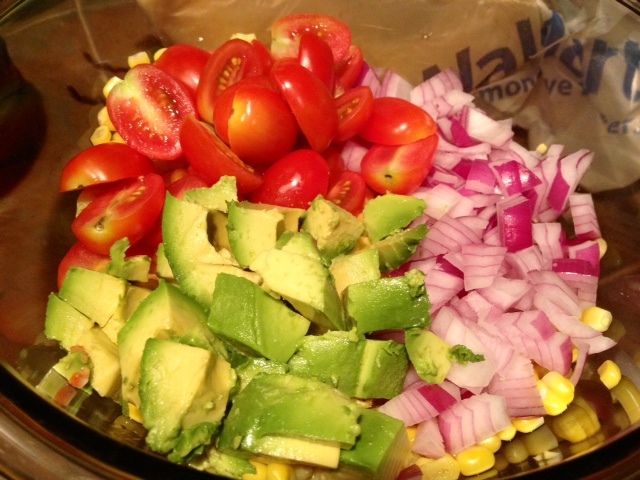 In a big bowl, stir the corn, cherry tomatoes (cut in half), and diced red onion (plus bacon, if you’re using it), then gently stir in the avocado. 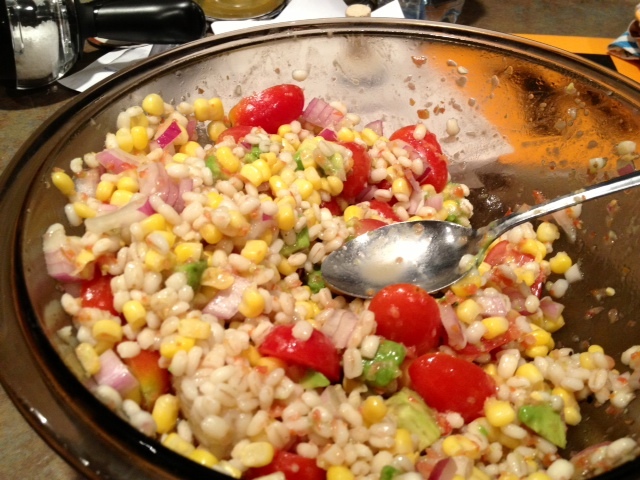 Add the cooled barley and combine, then add the remaining tomato vinaigrette and toss gently to coat. 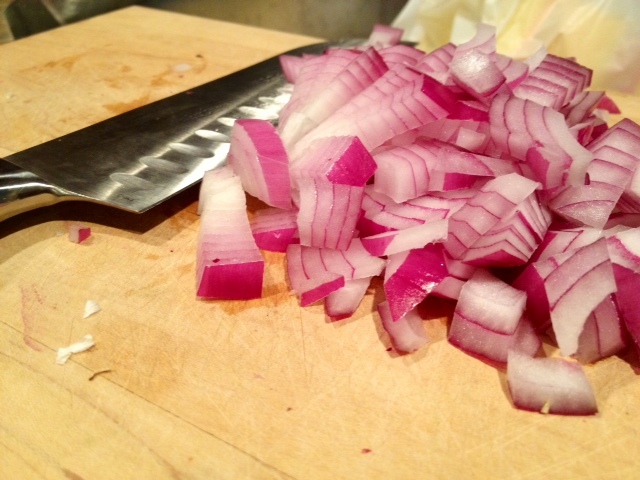 Season with salt and pepper to taste—I found that I didn’t need any extra beyond what was already in the vinaigrette. Put in the fridge until ready to serve. 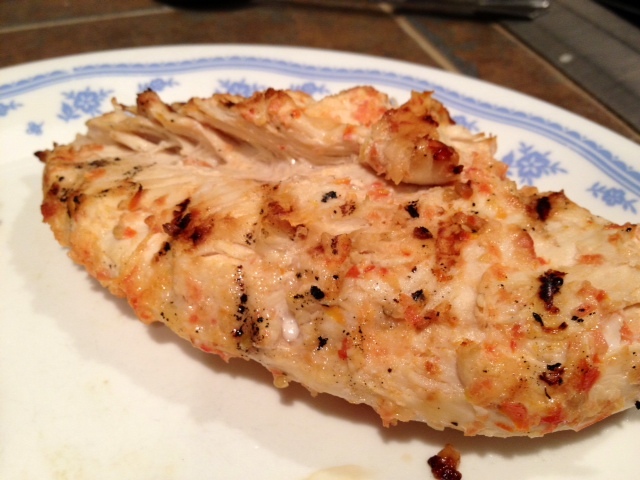 When you’re close to eating, heat your grill to high (4 out of 5 on my grill) and grill the chicken for 4-5 minutes a side, or until cooked through. I had the misfortune to buy super fat chicken breasts, so it was more like 8 minutes a side. Let the chicken rest for 5 minutes off the grill, then serve with the corn barley salad, either on top of it or to the side. This stuff was amazing and also made great leftovers for my work lunch the next couple days. I would even just make the salad on its own, it was that good! Cook the barley with a pinch of salt according to package directions. Drain when the barley is tender to make sure all the extra water is removed. Place into a big bowl so it can cool. 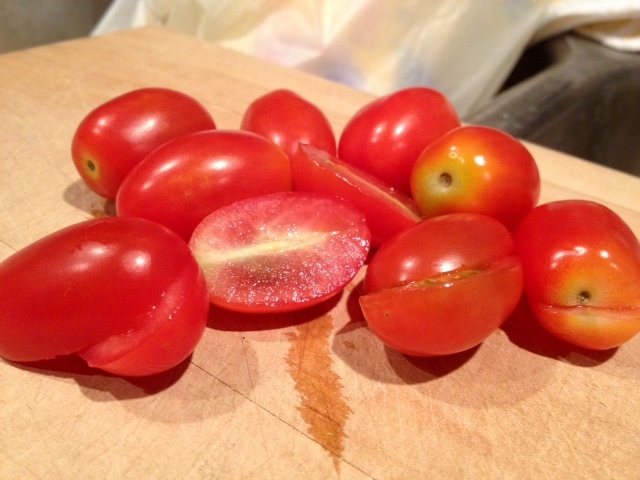 While the barley’s cooking, make the tomato vinaigrette. 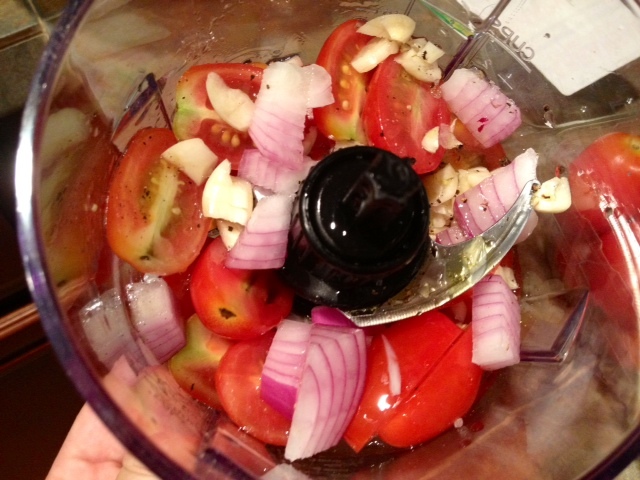 Combine all the vinaigrette ingredients in a food processor or blender, then process until smooth. Put 6 tablespoons of the vinaigrette into a plastic bag with the chicken (salt and pepper it first) and marinate in the refrigerator for one hour or more. 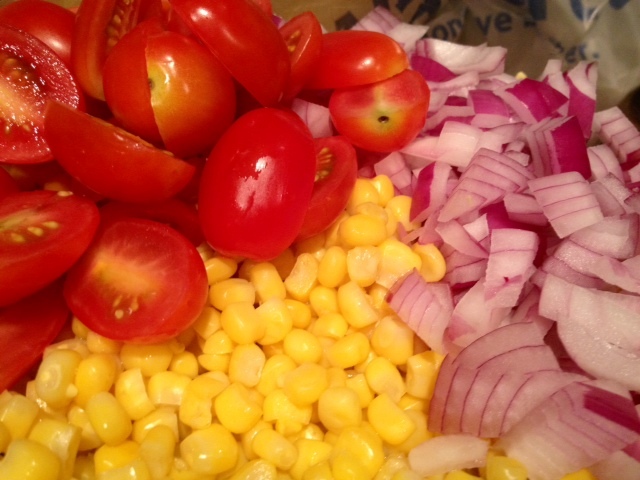 For the barley corn salad, stir the corn, cherry tomatoes, and red onion (plus bacon, if you’re using it) with the cooled barley. Add the remaining tomato vinaigrette and stir to coat. 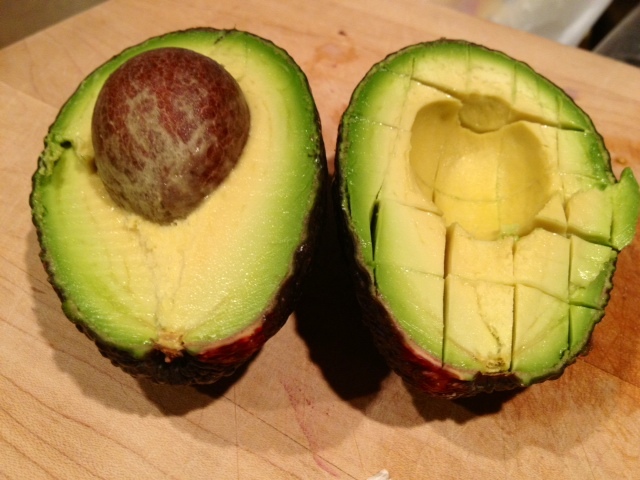 Gently fold in the avocado, then season with salt and pepper to taste. Place into the refrigerator. 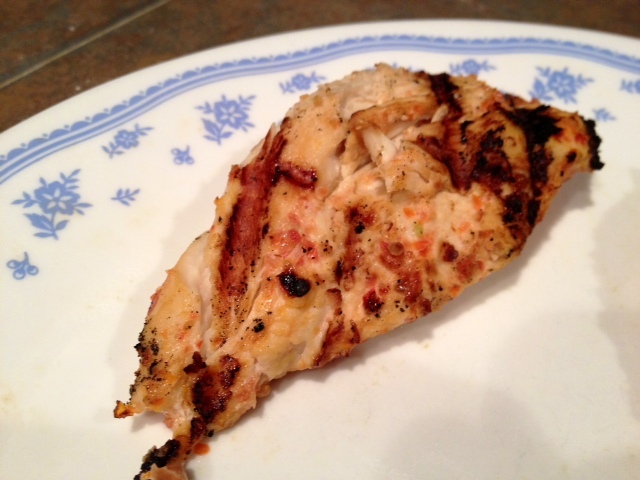 When close to eating time, heat your grill to high (4 out of 5 on my grill) and grill the chicken for 4-5 minutes a side, or until cooked through (mine were fat, so it was more like 8 minutes a side). 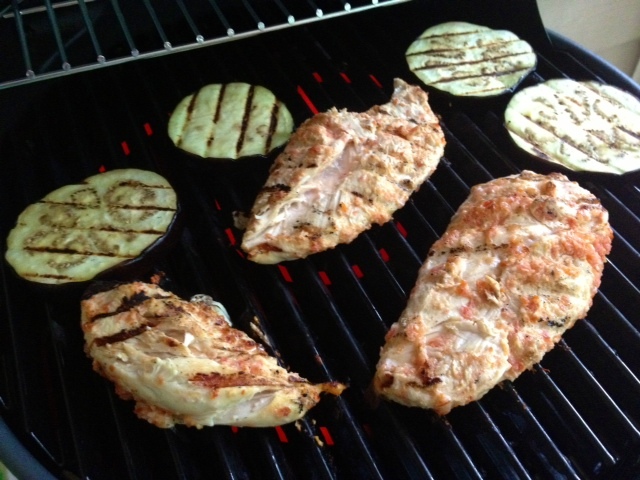 Let the chicken rest for 5 minutes off the grill, then serve with the salad—either on top of it or to the side.